These genealogy lesson plans should help students understand the terminology, concepts and significance of learning about family history. It should provide them with a working knowledge of the vocabulary related to genealogical studies and some exposure to the forms and charts used when doing family history research. If family interviews are required, students will also learn the personal significance and relational nature of genealogy. Discuss genealogy using the vocabulary terms they have learned. Explain and demonstrate the purpose of a family tree chart. Explain and demonstrate the usefulness of doing family interviews. Teaching students the vocabulary related to genealogy provides educators with a simple measurable element for assessment purposes. If you are teaching in the lower elementary grades, you may want to skip this part of the lesson or make it very basic and simple. Older students should be able to understand concepts such as generations, descendants, and ancestors. Provide students with these terms and definitions or have them look up definitions in a dictionary. Students should be tested over this material as part of the assessment process. Genealogy: 1. A record or table of the descent of a person, family, or group from an ancestor or ancestors; a family tree. 2. Direct descent from an ancestor; lineage or pedigree. 3. The study or investigation of ancestry and family histories. Ancestor: A person from whom one is descended, especially if more remote than a grandparent. Descendant: A person whose descent can be traced to a particular individual or couple. Generation: All of the offspring that are at the same stage of descent from a common ancestor. Family Tree: 1. A genealogical diagram of a family's ancestry. 2. The ancestors and descendants of a family considered as a group. Once the vocabulary has been established, you should go into further detail about family trees. 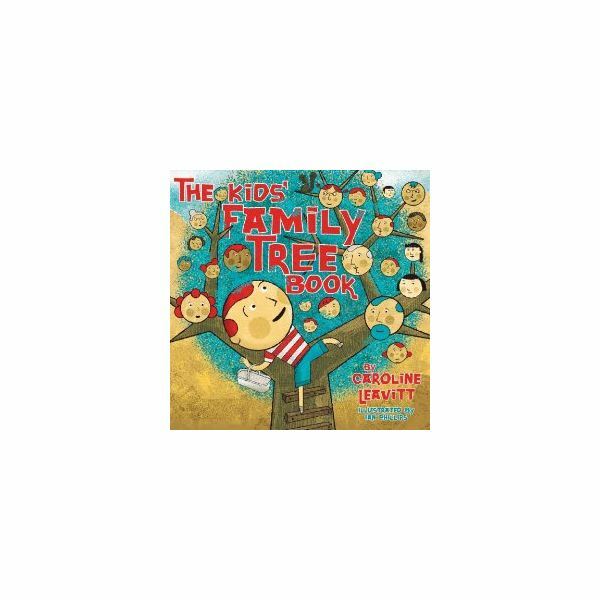 For younger students, you might want to begin by reading a book, such as The Kids' Family Tree Book, by Caroline Leavitt. For older students, the discussion can begin by filling out a family tree together as a class. Draw an outline of a family tree on the chalkboard or wipe-off board and demonstrate to the students how to fill in the lines with knowledge they possess about their families. For example, as you fill in each line, you might say, "This line should have your name on it." or "This line should have your mother's name on it." or "This line should have your mother's mother's name on it." You may want to use your own family in this example and explain to the children how each person on the family tree is related to you. After discussing how a family tree diagram is completed, it is time to give the students a chance to fill one out for their own family line. Give each student a family tree diagram to complete. Click here for Ancestor charts courtesy of Rootsweb.com that you can print or students can use a ruler and a large sheet of paper to build their own. Younger students should use a simple tree structure which includes only the names of extended family members, while older students should include information such as birth dates, wedding dates, and death dates. These diagrams should be similar to the links provided here. Remember to emphasize that genealogy is about biological relationships and that step-parents and step-siblings should not be included. Some students may have difficulties completing their family tree diagrams due to complicated family relationships. Be sure to handle this with sensitivity, or let them enter those people marked as "steps." This assignment should be graded according to the students' willingness to participate in the assignment, not by the number of lines filled. After students have learned about genealogical terms and family trees, students should learn how to interview family members to gather family stories. 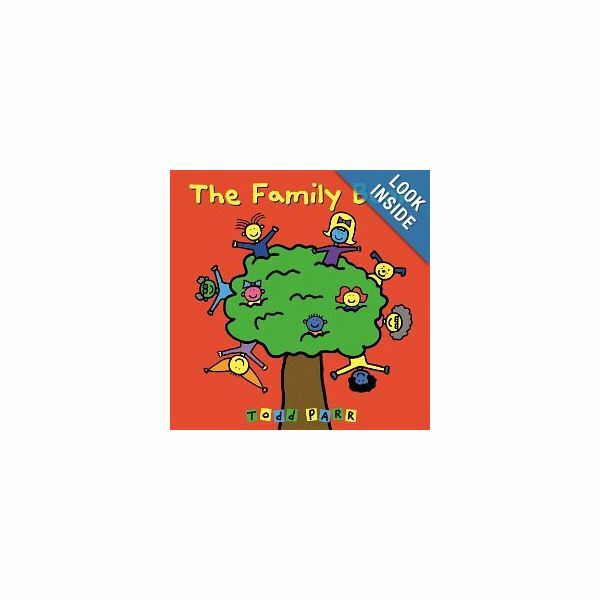 To introduce this topic, share with the class an example of a family genealogy book and describe how the book shows a family's history. In many families, the mother or grandmother has completed a book about the family. You may want to ask your students ahead of time if their families have such books and allow them to bring in their books as additional examples. share a story from your own family history. Use your examples to demonstrate the value of family interviews. Another option is to ask the students something important they would want their grandchildren to know about them and then have them consider that their grandparents may have those types of stories in their lives, too. Give each student a list of possible family interview questions. The following questions could be used or you could generate a list with the class. What are some of your favorite memories from your childhood? Do you recall any memorable family vacations? How did you and Grandpa (or Grandma, or Dad, etc.) meet? Further questions may be helpful as they may trigger great stories, such as do you recall a best date or what movies did you go see or what kind of car did Grandpa drive? Did you have any family pets that you recall? Where did you live throughout your childhood? Do you still keep in touch with any of your friends? If so, who and why? Did you live through any big historical event(s)? If so, what do you recall from those days? Encourage students to consider videotaping their family interviews for posterity or for extra credit. This fun genealogy project is a terrific craft that can be used along with these genealogy lesson plans, but it will require some planning if it is to be done in the classroom. At least a week prior to beginning this lesson. send home a letter with each child requesting that each student bring in a photograph of themselves and one of each of their parents and grandparents on both sides of their family. Photographs of other family members such as aunts, uncles, step-parents, siblings and even step-siblings can also be included, as this craft is intended to represent a child's family, not just their blood line. Allow students to begin bringing in their photos as soon as possible so that all students have the necessary supplies when it is time to complete the craft. An alternative to doing this craft in class is to assign it as a homework project. Large construction paper sheets, posterboard, or two 8.5 X 11 sheets, taped together. Markers or a pen for labeling the photographs. Step 1 – Instruct students to position their paper landscape style. Step 2. – Instruct students to arrange their photos with the picture of themselves near the bottom middle of the paper and the photo of their parents directly above. (For younger students, space should be left between these pictures for the students' handprints. Handprints can be done with classroom paint supplies or finger paint.) Have students leave space at the top of the page for labeling the Family Tree according to the student's first and last name. Step 3 – Help students position photos of grandparents and others to the right and left of their parents' photos according to maternal and paternal family lines. Step 4 – Instruct students or help students attach their photos using glue or double-sided tape. Step 6 – Laminate each placemat. Assessments for this genealogy lesson plan include the family tree assignment, family interviews and classroom participation or homework participation making family tree placemats. If students were assigned vocabulary words to define, grade that as well. Students may also be quizzed on the vocabulary.